SNOW READY 4X4, HTD LEATHER, SUNROOF, EXCELLENT CONDITION, CARFAX CLEAN! Just in! 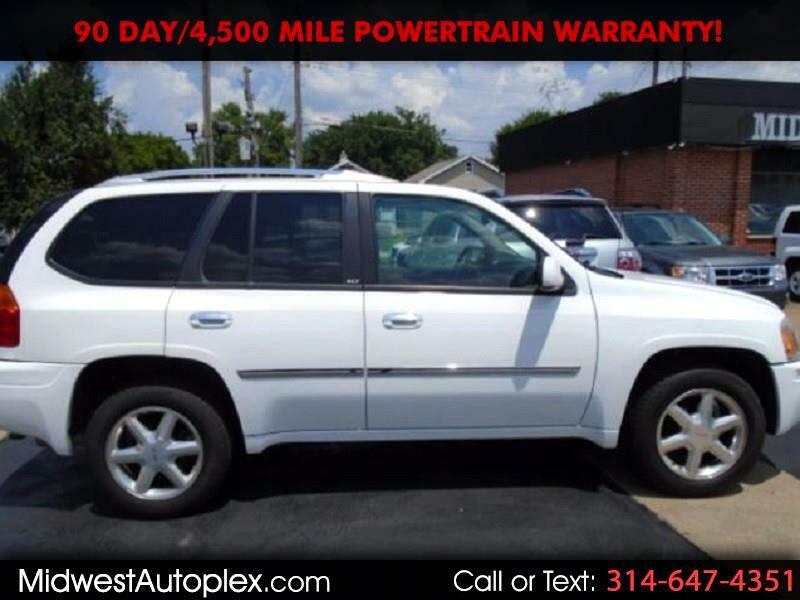 Check out this 2008 Envoy SLT! It’s one of the most popular 4x4 models out there, it’s proven to be safe, reliable and an excellent investment--a proven value you’ll love. Make it yours before it’s gone! PERFECT CARFAX CERTIFIED 2 Owner BUYBACK GUARANTEED! PRICED TO SELL THIS WEEKEND!! KBB RETAIL $10,240!! FREE WARRANTY!! MAINTENANCE RECORDS... NO ACCIDENTS, 4x4, Sunroof, Heated Leather, Aux input, bluetooth CD, Alloys, Tow Package, VERY CLEAN! CREAM PUFF!! CRUISE CONTROL, POWER Everything, ABS, 80% Tire Treads, Non-smoker, Safety and Emissions Inspected, CARFAX Suggested Retail Price $11,690 Carfax Clean! Just e-mail us for a FREE copy. EASY No Haggle Price! A+ rated by Better Business Bureau. Our Clients are extremely important to us and it shows. CARS PROTECTION PLUS POWER TRAIN WARRANTY FOR ENGINE, TRANSMISSION, DRIVE AXLES, SEALS & GASKETS, TOWING, RENTAL CAR, $100 DEDUCTIBLE-certain limits and exclusions apply, see service contract for complete details.